I’ve had a backlog of blog posts for months, y’all! I always prioritize my couples’ real weddings and engagement sessions first, but sometimes forget to share what else I’ve been up to! This is one of those posts! Honestly, I’m having to split it into four different posts, because there was just SO MUCH PRETTY packed into two days of learning at this conference. In March, I attended the Styled Shoots Across America Conference hosted by Heather Benge Events. 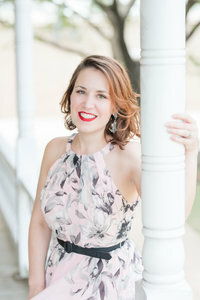 (She’s AWESOME and based in Houston, if you’re looking for a wedding planner! YES, I have worked with her at a REAL wedding before, so I know she goes above and beyond for her clients!) The conference covered marketing, branding, vendor relationships, and lots of other great stuff for creative entrepreneurs. Of course, the core of the conference was the beauty of styled shoots. 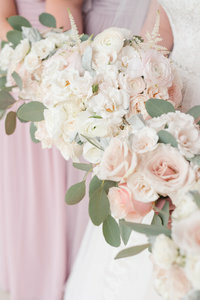 Styled Shoots are where wedding vendors come together to PLAY and have fun putting pretty things together. Their purpose is to showcase the best of their talents to potential clients and build relationships with each other. It’s a time to try things you may not risk on a real wedding day to see how it turns out. If it’s great, you can recreate it for clients! The conference was held at the BEAUTIFUL White Sparrow Barn, just outside of Dallas, Texas. (One great thing, for me, was that this venue is a quick drive from my in-laws. If you’re a bride looking for your White Sparrow Barn wedding photographer, give me a call, as I don’t charge a travel fee for this venue since shooting close by gives us an excuse to visit them!) This barn is absolutely gorgeous! Most barn venues are dark brown, so leave wedding images looking a bit yellow and dark and heavy (instead of light and bright, like how I shoot). Those other barn venues also don’t typically have enough natural light inside. That is just not the case for The White Sparrow! It’s painted white, which is the perfect background for wedding photos! The barn also has a ton of windows, allowing the beautiful sunshine to come in and light everything up! 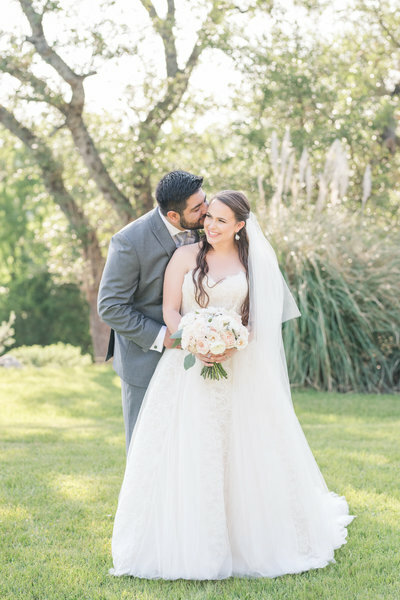 The White Sparrow Barn really is the perfect venue for Texas brides (not to mention a photographer’s dream)! It’s so easy to see why it was voted a top wedding venue in America by Brides Magazine! This post will showcase some of the indoor locations of the barn, but they also have a beautiful lavender garden and greenhouse and acres of beautiful trees! Watch for those posts in the next few weeks! 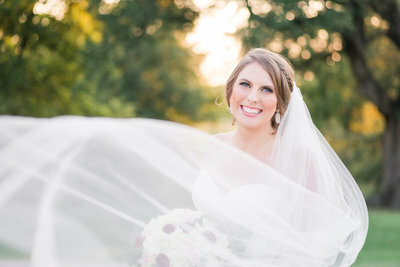 If you want to know what your wedding photographs from The White Sparrow Barn could look like, take a peek! If you’ve been following along for any amount of time around here, you know I love all things rose gold and blush! 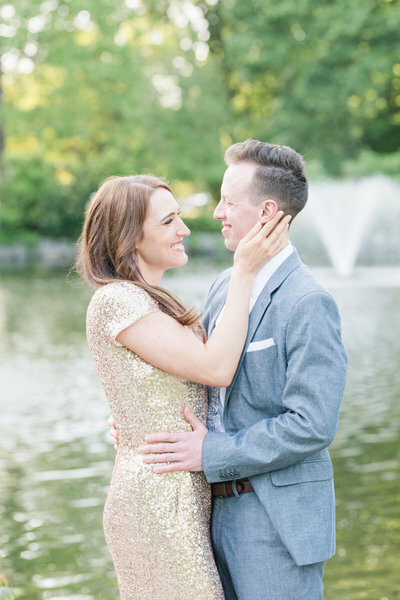 This styled wedding at The White Sparrow Barn was straight out of my dreams! Look how pretty these “better together” bride and groom signs are! That tablecloth is a new favorite, too! It has a texture and shimmer to it that photographs so beautifully! 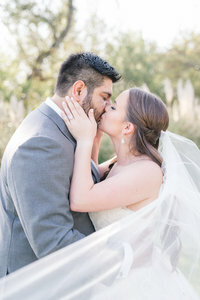 If you’re getting married at The White Sparrow Barn, you’re getting married at one of my dream venues and I’d love to be your White Sparrow Barn wedding photographer! Shoot me an email to see if your date is still available! Of course, I HAVE to credit the wonderful creative team who made this dream shoot possible!